This is the only Spider-Man art that decorates your wall in the day and at night. The high quality MDF wood box looks super cool in the daytime, and at night it lights up to give you a second cool image! It's the perfect Spider-Man wall artwork that's not too big, but not too small. 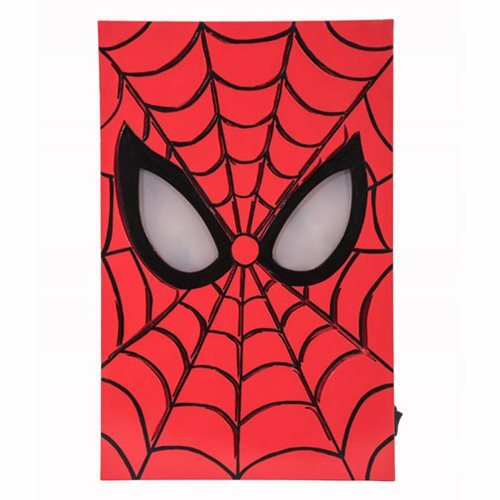 The Spider-Man LED Light-Up Box Art measures 12 1/2-inches tall x 8 3/4-inches wide x 1-inch deep and hangs easily on the wall. Requires 2x "AA" batteries (not included). Ages 14 and up.